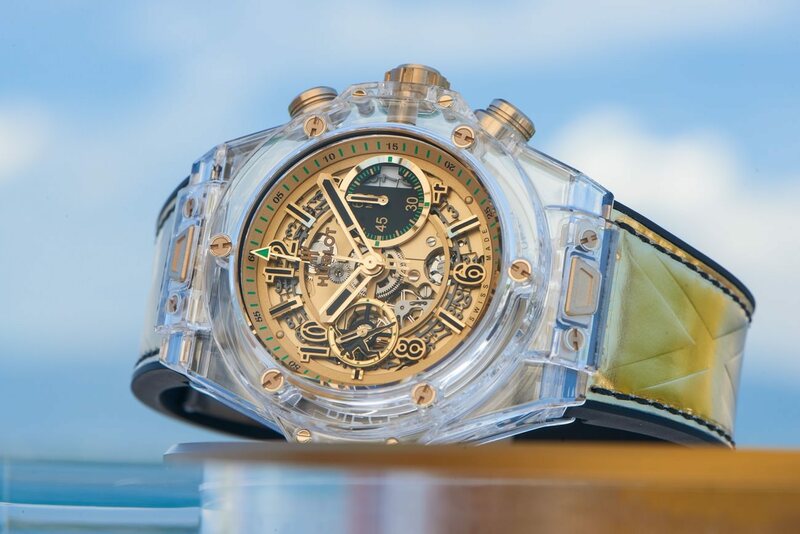 Three grand names join their forces to help people fighting against myopathy in a very stylised way: Hublot, Only Watch and Usain Bolt has developed together the unique Big Bang Unico Sapphire Usain Bolt. This very rare piece comes to accelerate the research, in the absence of time. 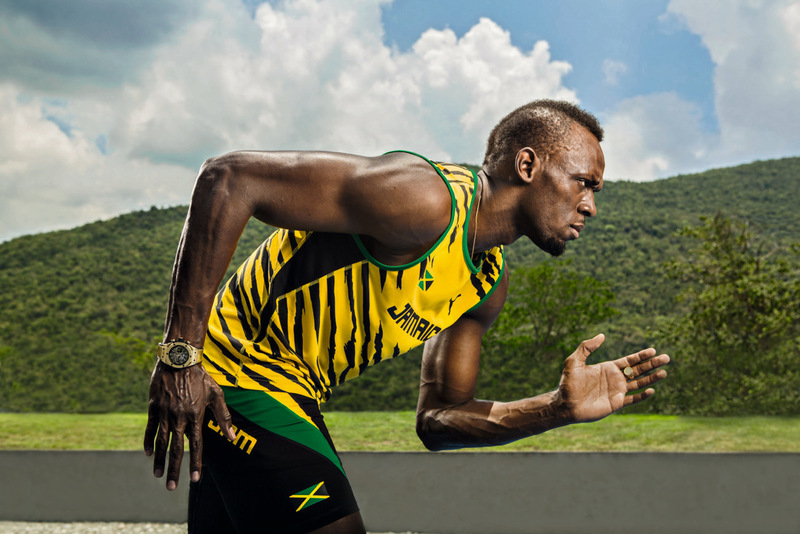 Big Bang Usain Bolt has been created to fight disease and support children suffering from Duchenne muscular dystrophy. And who was better than the invincible Usain Bolt to represent courage and strength? 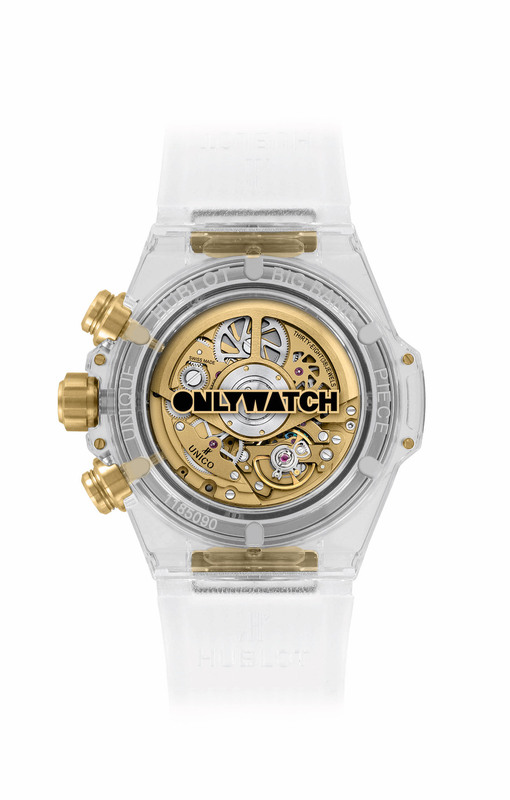 In 2017 the brand takes its inspiration in the “Lightning Bolt” determination and courage to create this transparent Big Bang Usain Bolt, that won’t miss to impress amateurs by its original look. Indeed this watch has been created out of sapphire, one of the most complicated materials to work with. 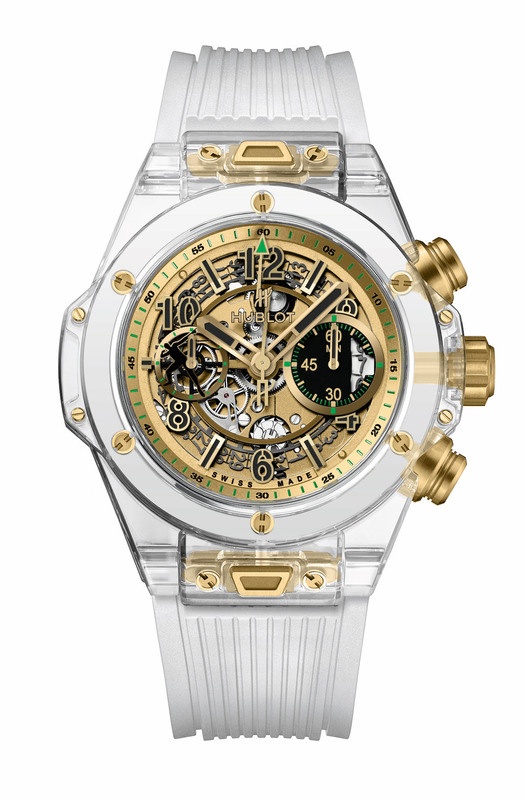 Another proof that Hublot can meet any challenge, just like the champion. Then Big Bang Usain Bolt reminds us naturally the champion’s style and Olympic spirit, with gold and colour touches, a material that the man with multiple medals know better than well! 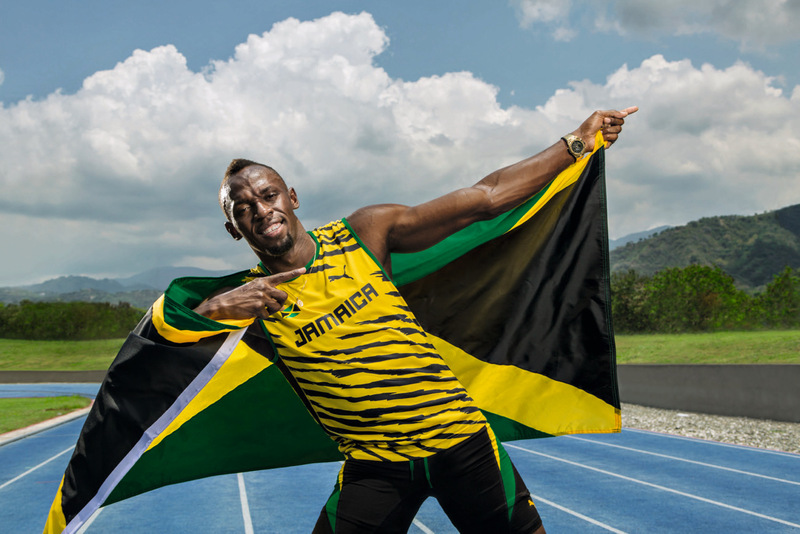 Big Bang Usain Bolt first goal is like we’ve said to support children who fight against disease and the brand has done everything to succeed in its mission by associating a PUMA t-shirt signed by the champion himself. 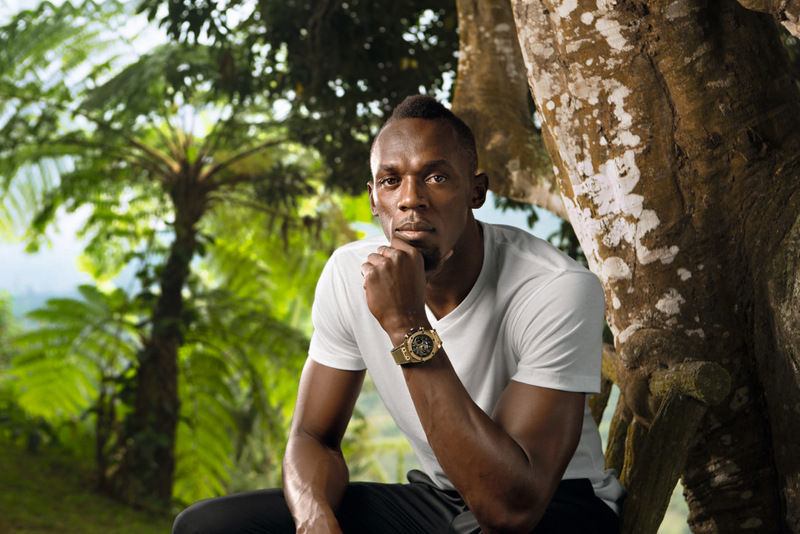 Big Bang Usain Bolt watch is made with gold and green design paired with a transparent strap, and enhanced by Jamaïca’s flag. 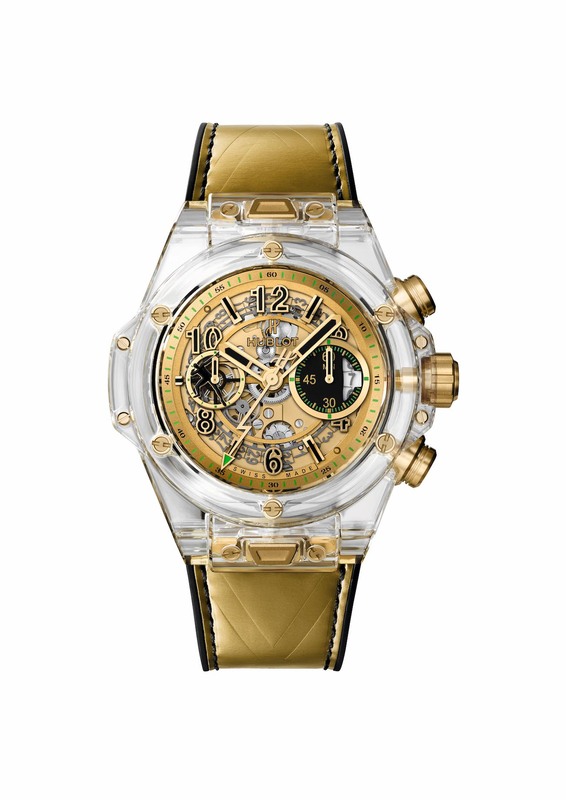 As it will be auctioned, the watch will also be presented with a second strap, in yellow-gold colour calfskin. Another distinctive sign: the “Lightning Bolt” symbole at 9 that now represent the champion so well, the very sign offered to the world after each victory. 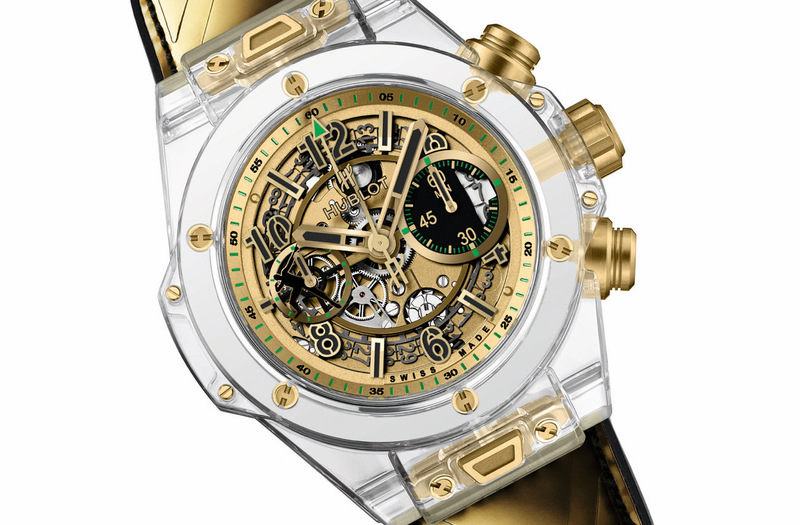 Finally, Big Bang Usain Bolt possesses a skeleton dial with 3N 18k yellow gold, a true gold medal for your wrist. 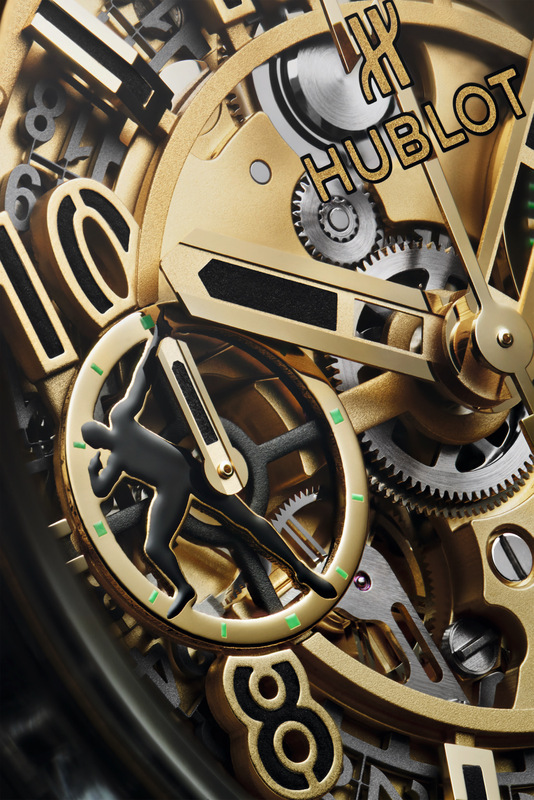 With this unique piece, as rare as exceptional, Hublot wishes to make a run to a victory against disease. 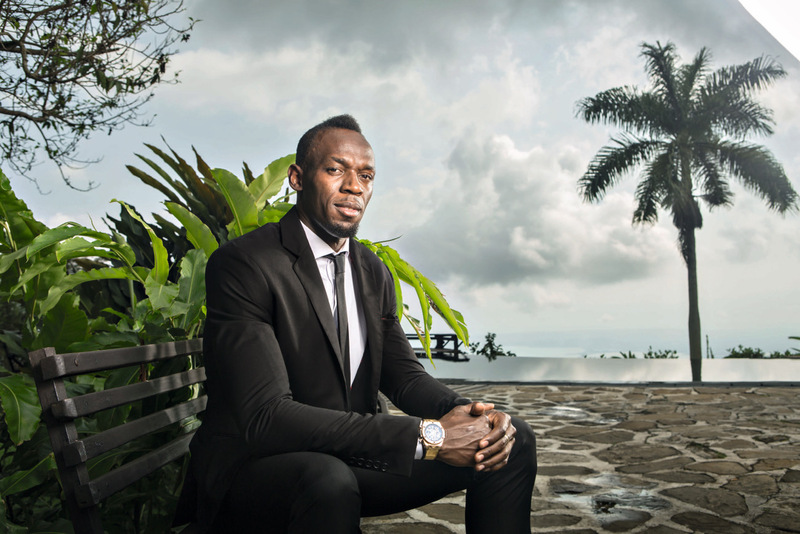 Share the post "Hublot creates a unique Big Bang with Usain Bolt to fight muscular distrophy together"